This is a note from Bassya I found among the letters. It will introduce the letters that come next. The letters she refers to in the following story. Bassya and Philip never reached their 50th anniversary as she died about 2 years earlier in 1980. But perhaps they did get to read these letters to each other, if they counted their anniversary from the time they met and fell in love. I would like to believe that. It was in the middle of May — a beautiful warm sunny day. The sun was setting the beauty was breathtaking — facing the bay two people sat — and watched the sun slowly disappear — and the sailboats gliding by on the bay. The woman turned to the man and said, next week will be our 50th anniversary — the children and grandchildren are planning a party for us — he reached for her hand and said — I know — I know — he repeated smiling — my dear Bibi what can I give you that I have not given you already. She squeezed lightly his hand and whispered Dear Dear Paul — then she suddenly turned to him — and with the excitement of a young girl said would you do something for me — of course he answered without any hesitation. — you know the box of letters — I kept there for 50 years the letters we have written to each other the six weeks we were apart. I will read the ones I wrote to you and you read the ones you wrote to me. Very well we will do that tomorrow right after breakfast he said we will sit in our garden and read. This entry was posted in Biography on September 11, 2014 by mariannagreenberg. In her seventh month of pregnancy Bassya realized that she was in love with someone else — Philip Bibel, who made the signs advertising the plays at the Yiddish Theatre. He was educated, talented, an idealist, and they had much to talk about. 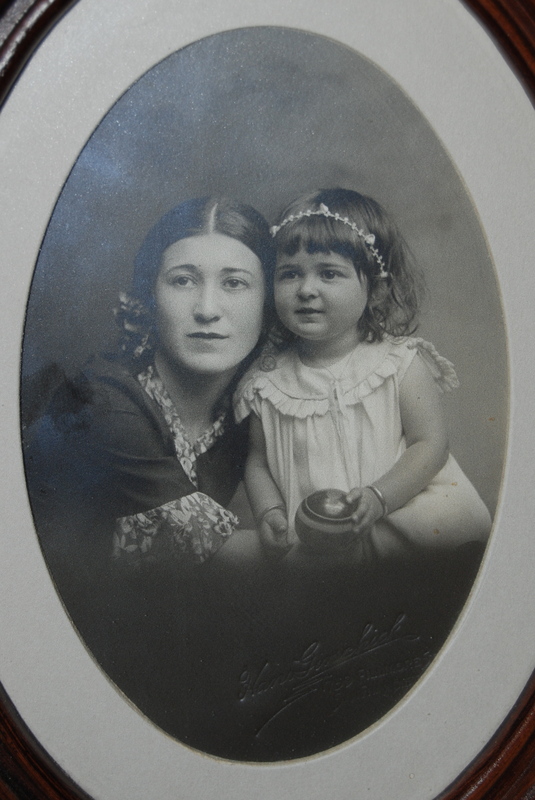 When her daughter Lila was born on September 25, 1929, Bassya decided she must get Phil out of her heart. They fought their love for two years and for two years she was miserable. She could not stop loving Phil, but she could not bear to hurt Sol, who was so kind to her. Finally, she and Phil decided to commit suicide in order to put an end to their problems. On the morning before their planned escape, Bassya’s uncle noticed that she did not look well and, for the first time, she told someone of her love. Realizing that Bassya had married too hastily, her uncle went directly to Sol and told him the whole story. Sol agreed to give Bassya a divorce if she would allow him to keep Lila, their daughter, for one year. Bassya regretted leaving her daughter, but she felt that she had no other choice. It is 1929 and Bassya and Philip fall in love. She is 21 and he is 20 years old. The earliest letters I found are from Bassya to Phil, dated 1930. Please note that Pinchas or Pinchos is Philip’s name before it was anglicized. This first letter has no date, but it is obviously written before Bassya’s divorce in 1931. My best guess is that it was written in 1930. This can’t go on — it is wrecking you and doesn’t do me any good. Everyone thinks I ought to paddle my own canoe. Life has been hard and cruel to me, I can’t paddle any longer — the oars are sliding out of my hands. I am tired my only Pinchas — I am tired … and so are you …. You too say I must paddle my own canoe. I am tired — I shall then, choose the easiest way and everyone shall be satisfied. — Your family — my family, and you? in time you will forget … (knowing that there is no hope). I shall from now on retire to my lonely corner — I shall have nothing to do with the outside world. You will read this letter and smile bitterly — you will call yourself fool a thousand times. But you will get tired — and truly you have not been a fool. For I loved You and love you as no one will ever love you — not as deep — that I am sure, but you will be loved — and it will eat out my heart — drain out my blood. But the world will be satisfied and so will two families — after all what is one’s life worth — when it can save so much sorrow by sacrificing itself? Will I forget you in time? — No not till the day of my Death — nor will I stop loving you, but I shall retire to my corner — so as not to see you not hear of you. I shall cry until I’ll have [no] tears left in my eyes…. But you will have to keep up the friendship until we leave you in Carmel. Please be good to me this week — let me see as much of you as possible. This time it is no more words. It cannot go on like it does — you know my dear Pinchas that it can’t. Our nerves are shattered. I have grown to be bitter — bitter — and you are tired so tired — it cannot go on like this my Pinchas. I have signed my sentence to death — my own death — with my own hand — but so life dictates me — . And this is how time has worked things out. The other side wins. This entry was posted in 1930, Letters and tagged 1930 on March 9, 2015 by wemac2@gmail.com. Again a letter from 1930. When you see this: *, it means there is writing in Hebrew lettering that I can’t translate. Sorry. I don’t know where Bassya is staying and where she is writing the letter from. But it is during the time of their struggling love. Apparently they have chances to see each other, perhaps with no one knowing. Have just received your letter, and read it through about five or six times. It was good to read every word of it. It feels wonderful to have you be worried about me. It is just like my Pinchas ought to be. It is the second of July and everything is fine just a little too warm up here. I gained four pounds already — am I not doing fine? The old ladies tell everybody that I go to bed with the chickens, I go to bed at nine and read till 12. I opened a Yiddishe Shule here. My class is under a tree near a water and I have five students, none of them know anything about Yiddish and now they are so proud they can sign their names, they are doing their best. What do you think of me as a teacher? I have not been lonesome, on account of what happened Sunday. I was miserable and made up my mind not to think. Just rest, and I never knew that there was so much determination in me. When you left — I read “Phibi” before I fell asleep, and the next morning I wrote a letter to you, which I never mailed to you, and today I thought of tearing it up — like I do many a time, then I thought, you might just as well know what impression you made on me Sunday. I cannot understand this restful feeling that came over me since I have been here, is it my determination to rest? … I do not know what it is, only I feel there is nothing that can hurt me anymore — it seems like I could stand the greatest pain, and not even shed a tear. I cannot recognize myself. Maybe you my friend can understand it? What created such peace within me? So Ann and Ella are coming along — they would come — I hope to God they do not. I cannot stand “flesh without soul.” You will not have time to answer this letter because —, anyway Friday there will not be any mail. It seems I have not seen you a long time, maybe a year or so, yet I am restful, I wonder how long such a feeling can stay with me. Yet does this restfulness bring me happiness — no, it seems everything is *. This letter has a bit more cursive writing. I will mark these with * and perhaps will be able to fill in the * one day. With this letter I first realized that Sol, Bassya’s husband, and Philip were friends. How difficult it must have been to be in the same social circles and to see each other often and hide your love. I am glad they did not come up with a secret code to write to each other, but perhaps that would have been easier than the writing I am still trying to decipher. What shall I say. I have so much to talk to you about — I have so much to tell you — probably what I already told you many a time but feel like telling it over and over again? Is it because I want you to understand exactly what I feel? Oh I know that you understand, then — what is it? I do not know, I only know — that like the drive up the mountains yesterday there is no other way — no turning back … That drive reminds me of our drive in this world — we drove in a way unknown to us, going we never saw any danger nor knew where it was leading us — when we finally got higher and higher — when we began to realize the danger, there was no turning back we had to keep on going …. But what is danger when one sits side by side with himself? Your own words — how dear are to me the words you have written. In one of your poems by the name * you say or rather express yourself — * I felt hurt when I read that, you know friend that I can understand and appreciate what you write — and even if no one else understood them, would it not be worthwhile just to write them so that I may read them? Wouldn’t it friend….? Here again I feel like saying things which I shall not write, as usual — but read for yourself what is unwritten — I know you can do it. There are certain remarks I made in my mind as I read your work and shall tell them to you at the first opportunity. Last night Sol [Bassya’s husband] told me that you had a talk with him you asked him what to do, whether to travel or get married to the “rich girl.” The he remarked “I see Pinchas wants to settle down, he talks a lot of marriage lately.” I told him it wouldn’t be a bad idea. Only you have time yet as you are only 22. I hardly slept all night I thought and thought — and then, thought some more — and if you want to know what my thoughts were — just think what your thoughts were last night. Do not forget please — order a Birthday cake, about $2.50, for Sol — let them write out “Happy Birthday Sol-dear from Bassya” and see that a few friends should come down after the meeting. It is Thursday you know. You know what entered my mind just now? If you could think up some “alphabet” which we could learn and use it — just we two — I would be able to say many a thing which I am trying hard not to say now. This letter tells us that Bassya is in Boyes Springs California, on vacation as she says. Her daughter Lila was born the year before, September 25, and is now almost 10 months old. Why did Bassya go on vacation and leave her daughter at home? In one of the letters she tells that she almost gained 4 pounds already. After the birth of my children I was not worried about gaining weight, but losing it. Was she making herself sick with her love for Philip/Pinchas? I have translated the word “chaver” as friend. Often it comes off with negative connotations in English, it is not meant this way. Perhaps I will leave the “chaver” untranslated and just replace it with friend when it does not give this derogatory feeling. Again, when you see an *, it means there is some cursive writing which I am still unable to read. I got your letter last night and only read it this morning, you can guess why. Reading your letter I saw all you went through since you left, my poor Pinchas, what can I do? Have I not had many of these Mondays? And what could you do? I hope when this letter reaches you, you will still be in the good mood of Tuesday. I am coming home Sunday and will not go away again for a long long time. Oh friend…. I feel very happy — unnatural for me — everything sings within me … I feel as I felt Sunday. I feel as if I spread sunshine all around, as if everything I touched came to Life. What a glorious feeling, and why shouldn’t I be happy? Have I not in my possession God’s greatest gift? I wish you could feel that way about it. It would make me so happy. I read your poem, and I read it over and over again. Pinchas dearest do you realize what you have written? Read it over again for yourself. Oh my friend how proud I am of you. * how much I find in this little line, and what about * you cannot help but feel it jump – fall. My Pinchas I am so proud of you — I do want you to read over what you have written. I do not think you really know that you have written something wonderful. Oh I am so happy. Write — please write….I love to read them. A word that repeats is “tayrer” which I translate as dearest, I will leave it as is. This is the last letter from Boyes Springs in California. Note that it is written on the same day as the previous letter. Here I am back in my little room — thinking — It is but five minutes since I have talked to you over the telephone. I had no intention to write to you, this letter, but I must talk to you. I still can hear your voice — oh so sad — I can feel that you have been thinking again, and this is what I heard through the sadness of your voice “What is my life? where does it lead me? what shall I do? what must I do? Shall I go away? will I be able to be away from her? can I stay here? why doesn’t she see my way? does it pay to give up all my life, my youth — my pleasures for her? does it pay? what does she give up for me? where is her sacrifice? and so on — question after question — your poor heart aches — you feel lost — you do not know what to do.” This is what I got out of the sadness that still rings in my ear, and what shall I say? Oh my Pinchas, I am sorry you met me, but I am not sorry I met you, and I shall never be, no matter what happens. I often think whether you ought to go away — (for your own happiness). I see that your greatest longing just now is to get away far away from everyone, and mostly from me. Yes chaver I see it, and I came to a conclusion that you will not rest until you go away somewheres, and if you do not go — you will feel that you missed something in Life, and it would make me feel terribly unhappy it should happen on account of me. God knows I do not want your sacrifice. All I want is to bring rest to your ever longing soul — to your aching heart, to your troubled mind, but I seem to be a failure. I am sorry. Oh God! how I would want to see you happy. I am happy — but I can’t be completely so — if I have to hear such sadness in your voice. Why can’t you feel like I do? Why don’t you try not to think as I try? God knows I have plenty to fight in my Life — and the whole fight is within me. Yet I try so hard not to think of it. It would be so much easier for me, if you would try too. Please do, for your own sake, if not for mine. I am just as miserable as you when I let myself go — when these moods come I try my best to get out of them. It is now 10 o’clock, and I am still thinking …. Again I want to say that as much as it makes me happy to have you think of me, I want you to think of your own happiness. I want you to be happy. Do whatever you think will give you peace of mind. Do not think of me, for if you will be contended, I will be too. This will be my last letter my unhappy dreamer. My two weeks vacation are almost over, another two days. I am glad it is over. What have I gained with this vacation? Peace of mind? Have I? No, then what? I have thought night & day for two weeks, what did I gain by all this thinking? I have come to a conclusion. I shall take life as it comes. I see there is no sense in fighting fate. I shall take things easy, at least I’ll try to. How long will I keep up the Idea of taking things easy? I know myself pretty well. I will not last very long. Yet I am not sorry that I took the two weeks vacation. Nor am I sorry of anything that happened, because it would not have happened (whatever it may be) if Fate did not want it to happen. I shall pray for you tonight that you should find peace of mind. Good night my unhappy Dreamer. This is the last letter from 1930. One is tempted to read between the lines in many of the letters and I was tempted most with this one. Wondering what their physical relationship was seems answered to me here. But it is only my guess and so we are left coming to our own conclusions. More and more I wish to read Philip’s (Pinchas) letters. What were his responses, his feelings, his writing? My poor dear Boy, he suffers so, he thinks I do not know, do not understand. I understand only too well, but my lot is not an easy one either. I too suffer, the only difference is — somehow, I cannot explain why, but my heart seems full of hope, that some day, some year there will come an end to this unhumanly suffering, and strange as it may seem, it does not feel that death will do it — But on the contrary Life will bring it — Love will come out the winner, and rejoice the sacrifice we have brought — the happiness we have earned. I cannot explain how this feeling came to me. I have no clue at all, but most of the things that happen to us, we are unable to explain them. But he my poor dear Boy, he has not such a feeling or he tries to destroy it. He thinks he is a realist, but in truth he is a fine dreamer, a dreamer no less than myself. Now he wants to leave for New York with the thought of never coming back. He thinks he can forget me, oh my dear Boy, it is too late. He thinks he can go against Fate. Oh he will find out different. He cannot understand me. To him it appears that if I really loved him I would not let him leave — I would beg him to stay, cry — go even on my knees, and make him stay. That would be a very dramatic scene. But my Love is thanks to God a greater one than just a dramatic scene. I want him to be happy, no matter at what cost to me. He thinks he would be happy if I belonged to him — That would bring us happiness — He is wrong — no happiness that comes that way — stays for very long — It only helps kill the soul, and I shall not sacrifice my soul nor his (which is the greatest treasure on earth) at any cost at all. Right happiness must come the right way, and what does my poor Boy make out of it, that I do not love him enough to bring this sacrifice for him. He does not seem to see the great sacrifice we both are bringing and which will some day be repaid to us, and further more he thinks that some day when he has gone to New York I shall meet someone else, fall in Love with him, and belong to him, I shall give him what I deny to him my Boy of my dreams. He does not know what his going away means to me, he does not know that everything ends for me, but strange enough as it may seem my hope for the future does not die. Why should I detain him — for myself? no I cannot be so selfish — He is too unhappy now — He cannot, it seems make the best of things. He wants to be what in truth he is not — a Realist, what right have I to detain him — maybe a change in everything will bring him satisfaction, maybe he shall be able to continue with his writing — is that not my dream? He must write oh God please help him…. I am willing to suffer twice my share — only give him a little happiness, oh I am sure, if he were able to go on with his writing he would find satisfaction — please help him. It is terrible days — months without seeing my Dream Boy — without hearing his voice which is as sweet as his soul is beautiful. Will I have the strength to go on. What a life — no looking forward to evenings when I can see him — no waiting with a beating heart for the telephone calls — nothing — just to live in the past — and dream for the future — and nothing but tears to accompany both. But I am willing — if it is thy will — Great Almighty — only see that my dear Boy is repaid in giving him something in Life. He thinks he can forget me — not as long as my heart will long for him — no never… It is too late my dear poor Boy — I am sorry but such is our Fate. Go if you want to. I do not send you away nor do I detain you, you must choose — and I hope you choose well — do not think for one minute what will become of me. I shall have a home — pretty clothes — men shall continue to compliment me — I shall be envied by girls — women — what else can one ask for?…. What if my heart will break? What if I die little by little of longing for you? No one will know it — no one will see it — I shall go on being the happy-go-lucky. Do not expect to receive a letter from San Francisco, that will tell you how heart broken I am — for I assure you no one will see me so… as long as I live I’ll keep on acting with a smile. I will not have anyone pity me. NO. Go if you must and take my blessings and best wishes — may you have your heart’s desire. But remember You will not forget me…. It is now a year later and nothing seems to have changed. The Lovers are still struggling along. I only found three letters so far from 1931 and we will jump to 1932 soon. 1932 will bring about a change in their relationship. Ah my Beloved one, why do I try to do things that cannot be done, over and over I tried, but I cannot give you up. I cannot. It is just like throwing myself into the grave alive. I must have your understanding, your love and above all your friendship, as you must have mine. It is the will of Fate, not you or I can go against Fate, I have had my last try. If there will be another try — it shall have to come from you. You have hurt me, but I forgive you, as I want you to forgive me. It is no use my Beloved one, we have been given Life by Fate and we must serve the term, no escape. You know very well that you cannot go on without me — you are lost without me, as I am in complete darkness without you. We are the Soul to one another’s body. Take away the soul and the body is dead ready to be laid in its grave. I must have you worship me as you must have me worship you. We must be each other’s Ideal, without that we cannot amount to anything — Is it not so my dreamer? This entry was posted in 1931, Letters and tagged 1931 on March 9, 2015 by wemac2@gmail.com. Apparently Bassya is now in Santa Cruz, California. Perhaps for a week? The letter shows us another side of Bassya. Pinchas, chaver, surprised to hear from me so soon? I decided to spend the half day at Santa Cruz beach alone. It is so good to be alone with oneself. Here I sit on a log — near the water it is only 7:30 a.m. I am listening to a symphony conducted by the wind, the water takes the part of every instrument. I like it most when it comes to its highest tempo, it wakes, it urges — There is hardly anyone at the beach, everything is so peaceful, one wonders — are there any cares in this world? — ! I have a feeling that I am celebrating a great holy day —. Aristotle believes there is a God, but not a simple one — that weak-minded people believe in. He is sexless, passionless, indivisible and eternal. He states that God does not create — but moves the world — as the beloved affect moves the Lovers — he is the cause of nature, the purpose of things, and he finishes with saying that God is the mystic force — the magnetic power. I am forced to end my letter as I have no more paper with me. It is now 9:00 a.m. and the symphony is in its low tempo the drums could hardly be heard — only now and then they wake up and go off again. I think I will take a walk now — and mail the letter — and then come back to the water again. Please write me long and often letters — that is, if you want me to write to you. Will you write to me every night before you go to bed? then I shall do the same, and will enjoy doing it, no back address. Good-bye and many happy dreams of the day — . I am, or rather feel so peaceful with all the world, I hope it lasts, at least the week. This might be the last letter for 1931. Next we will jump to 1932 and a new part of Bassya’s life. Peretz Hirshbein or is it Peretz Hirschbein? I left it as written in the letter. Why do you torture my soul, why don’t you give me peace, at least for an hour. If I could only stop thinking of you for one week of all these years. I thought maybe here — there is so much beauty here, and I want to share it with you. Carmel is the place, the atmosphere where you and I belong, is there no end to my yearning — no end to my suffering? Just finished Peretz Hirshbein’s book — our play — pinchas, pinchas, pinchas, Pinchas, Pinchas, Pinchas — Pinchas — pinchas. — This is my life. I am watching the sunset now — and my eyes are all blood-shot from tears — Oh my Pinchas have patience with me — endure my faults I have no one int he whole world who could take your place — Life is a struggle as it is — do not make it harder — help me — help me , be my friend, be my father, be my brother — until you become my Lover. If you should refuse — if you should turn from me now — I will not hear it — I shall not have the strength to go on — I know it. I feel it. Let us play fair — until — please try for my sake. Let me not be tortured by conscience, sacrifice yourself for me — and there will come a time when I shall give everything for you — my life — my all. Help me endure the struggle until happiness shall come our way — and as I do — be natural my dreamer do not shrink into realism — I wish I could gaze into your dreamy blue eyes — to look a you — to put my tired head on your heart —. I am all alone at the beach now — but am I all alone? I feel that two souls two hearts are joined in me. Carmel is beautiful beyond description. I am staying with a private family — Murphy is the name, the most charming, cultured refined people, their home is artistic and I love my room. Here is a new world a world for itself. People who live for years here do not know what it means to lock a door — they sleep without fear — the front door always open, when I asked for a key for the front door they simply looked at me — told me they have no such thing. Everything here is refined artistic, there is only one class of people that come here and live here. It is six o’clock now, I must be going. I have to walk 10 blocks for my meals. I am going to see a stage play tonight — “Tomorrow and Tomorrow,” have not seen Peretz Hirshbein yet. I want to call you up — give me a telephone number any time after eight p.m. write me every day — please —. Good bye my Pinchas and God bless you. from your heart and soul.